Save $50 on your pet dental visit before Dec. 31! 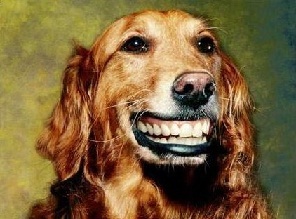 When was the last time you had your dog’s teeth cleaned, checked and refreshed? If it’s been more than six months, then that time might be now. Arrow Animal Hospital Group is offering a $50 savings at one of our member offices to have your pet dental visit done. But you must hurry – the offer is good only until December 31st. When you book an appointment for your pet with one of our member veterinarians within the Arizona Arrow Group of Animal Hospitals, you will be assured of a full doctor exam, including, as needed, General anesthesia; Nursing care; Ultrasonic teeth cleaning, polishing and rinsing; as well as post-operative care with nurse and much more. Many treatments can be performed in the exam room, such as vaccinations. For some treatments, such as blood draws and x-rays, we will take your pet to our treatment area where our highly trained staff can safely hold your pet during the procedures. Arrow Group of Animal Hospitals has 16 convenient valley locations that offer a full complement of veterinary services for all of your pet’s needs. Our main goal is to ensure that you and your pets receive the highest level of care, service, and the most current treatment/techniques/medicine available. We have a skilled and compassionate staff, state of the art facilities and equipment, and we combine the family element with a true compassion for you and your pets. We want you to feel like we are part of the family, especially during the holidays. This entry was posted in Arizona Pet Health and tagged Arrow Animal Hospital, cat dentist, pet dental visit, vet dentist, veterinary dental, veterinary dental services on December 13, 2011 by AZPetVet. Dog dental disease is no barking matter! You love your pets. You buy them the best quality food for their nutritional needs, exercise them for fun and enjoyment, and enjoy the companionship that they provide. You do everything you should as a responsible pet owner. Right? Not always. One of the most overlooked areas of pet care is veterinary dental care of your dogs and cats. 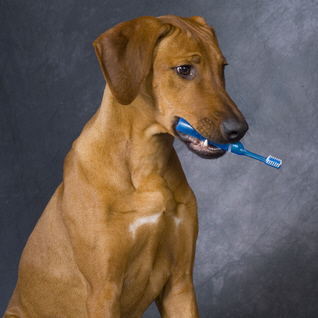 Like ourselves, your animals need professional teeth cleaning on a routine basis. In fact, most veterinarians recommend brushing your animal’s teeth and gums at east twice a week! How many of us are guilty of NOT doing that? Depending on the condition of your pet’s teeth, professional cleaning is recommended every 6 to 18 months. Lack of brushing your pet’s teeth regularly can lead to other oral health issues, like periodontal disease, a common gum infection found in pets. It’s estimated that 80% of dogs and 70% of cats have some form of periodontal disease. An animal’s mouth is very similar to ours. Their teeth are subject to the same problems that we can have, such as abscesses, receding gum lines, bone loss, gingivitis, rotten teeth and periodontal disease. When dental health is not addressed, eventually an animal will need things like root canal surgery and extractions. In severe cases, the bacteria and infection in the mouth will spread to the bloodstream, causing problems in the rest of the body, like the liver, kidneys and heart. In the worst cases, these problems will lead to a shorter life span. Unfortunately, in our fast-paced lifestyle, regular dental brushings and checkups for our pets is a practice that often gets ignored or forgotten. And on top of it, soaring insurance costs coupled with a crippled economy has left many pet owners with minimal funds for their pet’s dental health needs. It’s become so critical that the American Veterinary Medical Association has declared February its National Pet Dental Health Month. In Arizona, a group of Valley veterinarians have come together under the Arrow Group of Animal Hospitals banner to help bring about awareness to our dogs’ dental care. All the veterinarians in the group are committed to helping pet owners become more aware and learn the responsibility of taking care of their dogs’ dental needs. Dr. Willms recommends a few tips to pet owners. 1) Bring your pet to the vet! Don’t wait for an annual checkup if you’re detect bad breath or see infected gums on your pet. 2) Start brushing your pet’s teeth at home and supplement their diet with specially formulated pet foods that assist in limiting plaque and tartar buildup. Look for products that have the ‘Seal of Acceptance’ from the Veterinary Oral Health Council, an organization initiated by the American Veterinary Dental Society to guide consumers. These products meet the standards for limiting plaque and tartar control in dogs and cats. 3) Be regular with your veterinary checkups for your pets. You would do the same for your childrens’ doctor visits, so do the same with your pets. Your veterinarian can monitor the progress of your pet’s dental health routine, and make individual recommendations. Arrow Group of Animal Hospitals and its 16 affiliated animal hospitals in the Phoenix area are dedicated to the highest care of dogs, cats, and small animals. The doctors are highly-trained in the care of animals, and have undergone extensive training for the dental care of dogs and cats. If you’ve not made a veterinary dental visit recently, contact ArizonaPetVet.com and see one of the doctors from the Arrow Group of Animal Hospitals for all your pet needs. This entry was posted in Arizona Pet Health and tagged Arrow Animal Hospital, cat dentist, dental for dogs, dog dental, pet dentist, vet dentist, veterinary dental, veterinary dental services on November 10, 2011 by AZPetVet.